Josey encounters two vaguely familiar characters that will help her see that hope is just around the corner. Kenneth Cosby was born in Los Angeles but grew up in Atlanta, Georgia. He attended Howard University and transferred to NYU where he earned a BFA in film production and a MFA in Dramatic Writing. While in New York, Ken worked at La Mama, E.T.C. and was one of the founding members of the Absolute Theater Company. At NYU, Kenneth won the Lucille Lortel Playwriting Award for his one-act play, Angels at the Heavenly Gate, and was awarded the Graduate Award in Screenwriting. 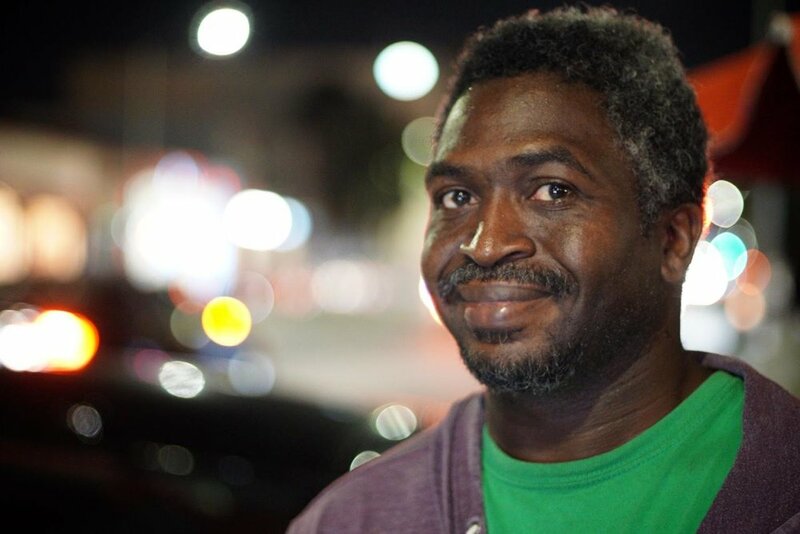 In Los Angeles, Kenneth has been a member of the Blacksmyths Playwriting Fellowship at the Mark Taper Forum, has written and performed in several sketch comedy groups, and is an Artist in Residence at Towne Street Theatre. Hi my name is Rick Peters, I am a proud Stella Adler alumni and I have been fortunate to work as an actor for the past 26 years. I have worked primarily in television, which has brought me to Canada, New Zealand, Italy, and all over the U.S. I am honored and humbled to be a part of "A Light in Dark Places". Suicide, sadly touches many of our lives, including mine, and it is devastating. I hope our contribution inspires people of all ages, and socio-economic backgrounds to listen and reach out to those of us suffering with depression, It's a dark lonely place, and the light is human compassion. I would like to dedicate my part in this production to Leelah Alcorn, and David Maddocks. I love and miss you Dave, I think about you often, especially when I listen to anything from 10,000 Maniacs, or OMD! Kinjal Dave is an actor, writer, and student of the Stella Adler Academy of Acting & Theatre – Los Angeles. She has been involved in theatre since her freshman year in high school. Kinjal relocated to LA three years ago to further her training. Through the course of her time at Stella Adler, her body of work includes Machu Picchu, Texas (Rhonda, Dir. Bonnie McNeil) and Man from Nebraska(Ashley/Cammie, Dir. Rick Peters). Kinjal is also currently writing a web series, Pretty Pretty Princess, which will premiere late 2017. She is very grateful to be in this years collection of plays for A Light in Dark Places. Susan Dunlap has been attending Stella Adler-Los Angeles on and off since 2008. She is thrilled to be back working on such an inspiring project. Thanks to all for involved for this great opportunity. In addition to her work at Stella Adler, you may have seen Susan as a background performer rolling her eyes on Grey’s Anatomy, singing in the audience on Jersey Boys or wandering aimlessly in the background of your favorite TV show. Noi Maeshige is a student at OCSA in the Musical Theatre Conservatory. Her most previous work was The Tempest at Shakespeare Orange County. Her other theatre credits include: Nadeshiko (Taisuke), Alice Project (Pianist/Cheshire Cat/Caterpillar), Peter Pan (Jane). She is very humbled to be a part of this amazing production and this cause. She hopes that these series of short plays will help people understand the topic in some way.